Culcheth Sports Club, near Warrington in Cheshire, provides a wide range of sporting and social activities for the local community. A former Department of Atomic Energy sports club, it is now a not for profit facility. Lee Williams met up with their groundsman Ian Trantum to find out how he manages the four acre multi-sports site. On May 29th 1998, the present club site and buildings were purchased outright from the United Kingdom Atomic Energy Authority (UKAEA) for £203,000. This purchase was only possible due to sponsorship provided by the Sports Council, using National Lottery finance. The sponsorship funding amounted to about two-thirds of the cost, whilst the remainder, some £65,000, was obtained from club reserves and loan facilities. Although there are 'claw-back' clauses in the contract to prevent the members from selling out at a profit, the club now belongs to its members. 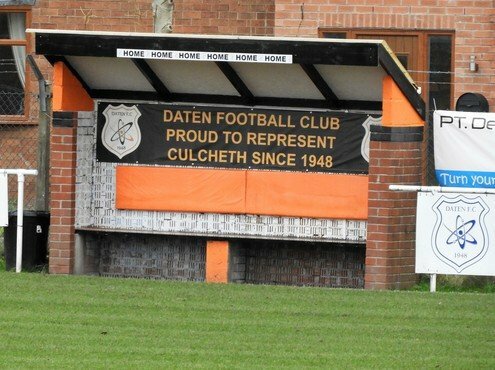 Unlike their predecessor -the DATEN Sports and Social Club - Culcheth Sports Club has no membership restrictions of any kind. The club is now open to all. For forty years, the DATEN Club (Department of Atomic Energy) operated under a licence agreement with the UKAEA and was, in operational terms, self-financing. A very favourable renting agreement with UKAEA, who also accepted responsibility for the rates, building insurance and maintenance did, however, represent a significant subsidy to the club. Latterly, BNF plc (British Nuclear Fuels) shared these support costs and provided grants for specific projects. The DATEN Club was responsible for the maintenance and decoration of the inside of the building and for the sports facilities outside. Prudent management over the years enabled the bar lounge and the bars themselves to be more than doubled in size, plus a large annexe, stores and groundsman's facility to be built onto the hall, and the provision of another smaller lounge, table tennis room, billiard room and a games room. Tennis courts were enlarged and resurfaced, and a cricket pavilion erected. The cost of all this extensive building and modernisation was met out of the club's income. 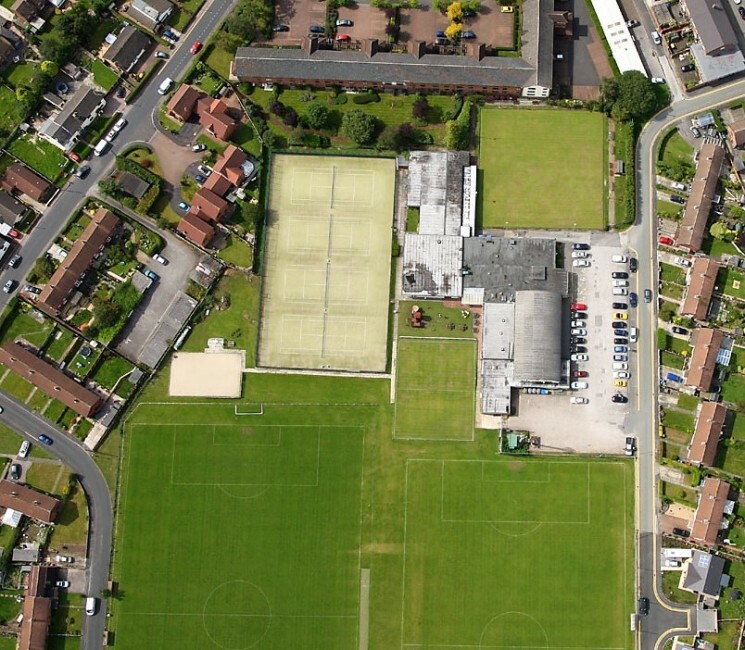 Culcheth Sports Club operates as a wholly independent and self-financing body, which must meet the challenges and demands of the future entirely from its own resources. Provision of high-quality sporting and leisure facilities at a competitive charge is a demanding task for any members' club, and requires both the support of and the active and effective participation in club activities by the membership at all levels. Culcheth Sports Club nestles amid residential housing. As I park up just outside the gate of the groundsman's shed, Ian Trantum, the club's groundsman spots me. jumps off his tractor and makes his way over the pitches to meet me. He takes me for a tour of the site, which includes two soil-based grass pitches, two bowling greens and four artificial tennis courts which he tends to by himself, whilst also looking after the perimeter of the site and doing some maintenance work in the building. We then go inside the building to the bar area, out of the cold for a brew and a chat. 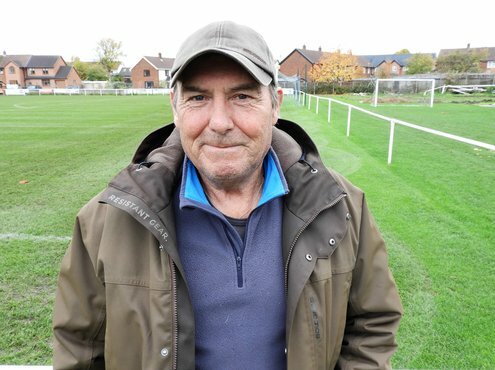 Ian has worked as groundsman for the club for thirty-three years, joining in 1985. He found his way into the industry from school. Ian explains; "I first started for the council, working at Walton Hall Golf Club, through what was called job creation in those days. I then moved onto Manchester Golf Club but, after time, I felt I wanted a job closer to home to save on travel costs. This led me to apply for the job here, and I have never looked back." He attended Reaseheath College where he studied for a diploma in greenkeeping, and he tells me there was no such thing as NVQs when he was doing his qualifications. During his time at Reaseheath, he was inspired to further his career by Dennis Mottram and Jeff Braten, his tutors at the time. Ian mainly works by himself, but with the occasional volunteer helping him with the odd task at the weekend. He relies mostly on the help of Richard Roberts, Head Greenkeeper at Hartcommon Golf Club. 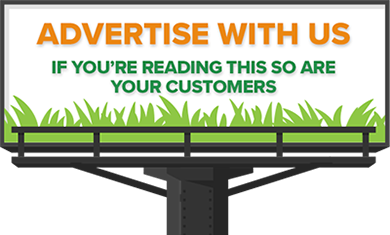 "Richard is always on the other end of the phone to offer me advice, which I appreciate. 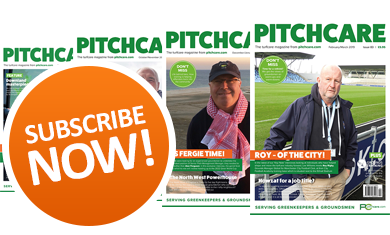 He also carries out the renovation of the pitches, bowling greens and verti-drains the pitches once a year for us." 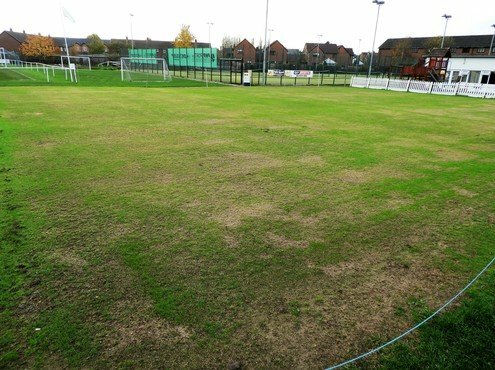 The pitches are soil based, with additional drains put in when the club have had the funds to do so, but they mainly run off the old field drains. 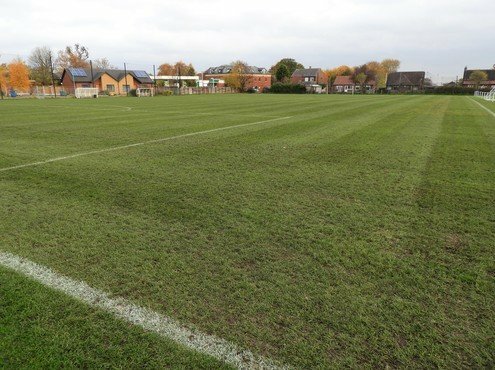 The pitches are used heavily over the year Ian explains, "We have a mix of Daten FC and Culcheth FC under 13s, 15s, 18s, 21s, Thirds, Seconds, First Team and Veterans playing and training on the pitches, plus we will rent them out if they are free. We also had Chester FC train here in the summer." 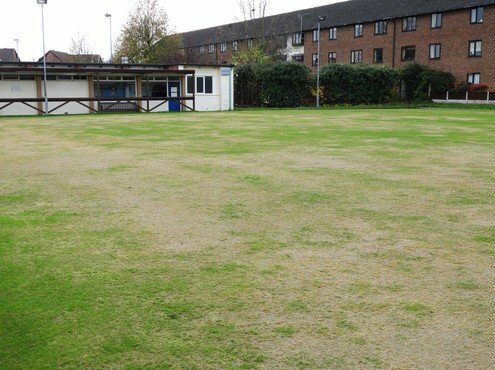 The site covers an area over four acres which is split up between two football pitches, croquet, four all-weather tennis courts and two bowling greens. 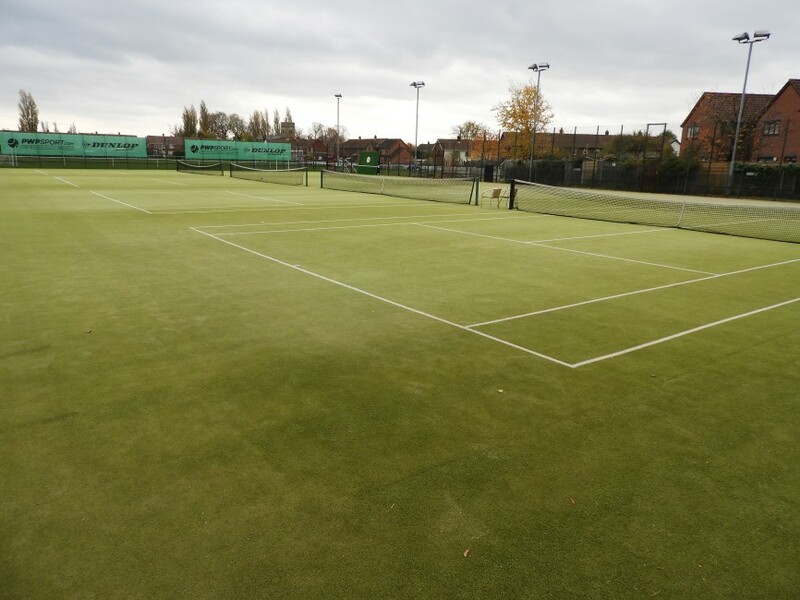 "The tennis courts have just been renovated through a grant from the LTA for around £10,000. A specialist contractor was brought in, who removed most of the existing sand, cleaned the surface and re-topdressed with fresh sand." 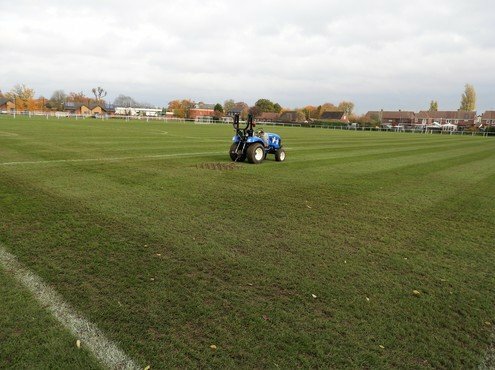 Maintenance of the pitches is kept simple with Ian using a Trimax Striker 150 tractor mounted rotary when possible. Cutting heights in summer is at 25mm, but is raised to 28mm in the winter to try and keep grass cover. "In-between, I like to get as much aeration work done on the pitches as possible. I use the deep spiker every week on the SISIS Quadraplay, but this was difficult in the summer conditions this year. It took until now (end of October) for the ground to soften up to get Richard to Earthquake them for us, at a depth of 6-8 inches." Ian marks out both pitches once a week using a spray marker with mixable paint. Renovations taken out on the pitches this year consisted of deep scarification, an overseed with 100% perennial ryegrass mixture and a pre-seed fertiliser. He would have liked to topdress with 60 tonnes of sand, but funds would not stretch that far this season. "The dry summer hit us hard. It took the pitches and the bowling greens a long time to recover, especially having no irrigation system to speak of. The greens are still suffering now. We didn't carry out much work on them over the summer so as not to stress them out any further. We have only just managed to scarify two ways, overseed, micro hollow tine and fertilise them two weeks ago (end of October); fingers crossed, the weather is on our side and they start to germinate soon." Ian has a Replay machine - a brush with a little rake on it - which mounts onto the tractor. 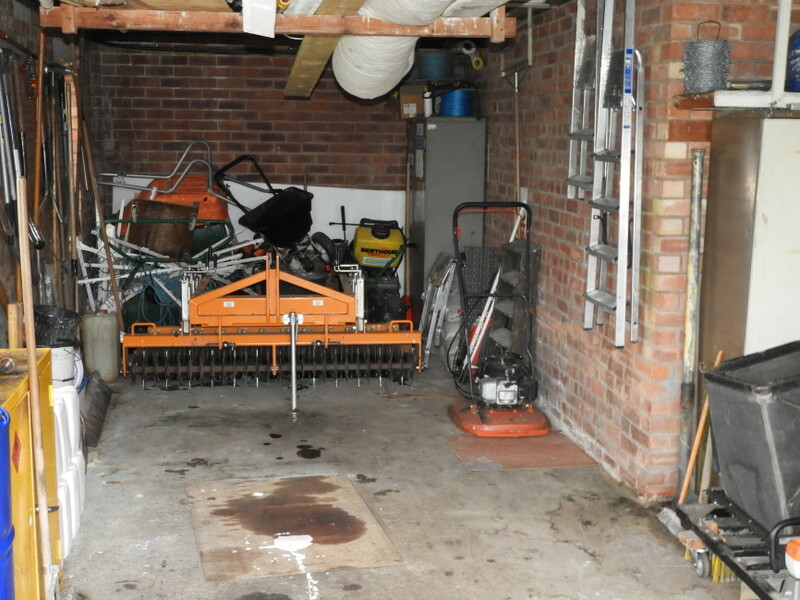 He uses this to tidy up the tennis courts every two weeks in summer and once a month in winter. When it comes to budgets for machinery, renovation and fertiliser, the club tries to support Ian the best they can with what money they have available. "If I go in and say I need something for a machine I tend to get it straightaway if they have the money. The machines come first and always get a regular service once a year. If I need anything else, like fertiliser, this will all be down to available funds." The club owns all their machines and will always look to buy secondhand to keep their costs down. "Recently, we looked at buying a Shockwave from Campey's, but we will have to wait and see!" "Our football chairman is always looking to see what grants are available to help improve the playing facilities or the clubhouse. He recently managed to get us a grant to refurbish all our dressing rooms." The club is a non-profit making organisation and they put all the money brought in from the use of the club facilities back into maintaining and improving the site. Looking to the future, Ian hopes to do a more extensive renovation on the football pitches in 2019, providing we don't get the prolonged hot summer we had last year. "There's nothing worse than your pitches looking garbage," he laments. He also hopes for a kind winter, so his bowling greens have time to pick up. 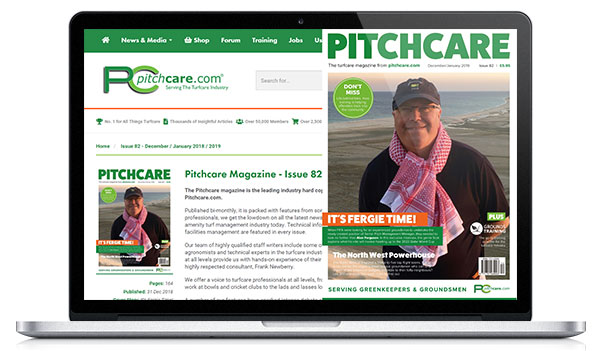 Ian tells me he his too long in the tooth now to go on training courses, but likes to read magazines to keep updated with what's new in the industry, "I like to read your magazine (Pitchcare), and I'm happy you have asked me to appear in it." He also follows companies and industry professionals on Twitter and Facebook to keep up to date. It all began in 1946, when the Ministry of Supply formed its Division of Atomic Energy which located its Industrial Group Headquarters at Risley in some existing ordnance factory buildings. The task of this group was to harness, for peaceful purposes and specifically for the generation of electricity, the unlimited power source provided by nuclear fission. Civil servants were transferred from Ministry of Supply, Ministry of Works and other Government departments to meet the needs of this fast growing project, and these staff were soon augmented by further recruitment. This was at a time when there was a great shortage of housing. The main living accommodation for these staff and their families was in the Culcheth locality in temporary war time huts, and in early post war single storey pre-fabricated homes in Culcheth. The present Taylor Industrial Estate and new housing occupy all these sites nowadays. There was little by way of local recreational facilities in the area, but fortunately one of the sites had inherited tennis courts, a large recreational hall with a cinema and a stage, and ample space for badminton, dances, etc. In addition there was a bar and the Little Theatre for plays and smaller functions. Football fields in the area were soon provided by a grant from the Civil Service Sports Council (CSSC) to whom all the 'atomics', as they were called by the locals, contributed by payroll deduction. The DATEN Sports & Social Club, which at that time catered solely for the Division of Atomic Energy staff, was soon formed and fully operational by the summer of 1947. Part of the disused naval establishment, HMS Ariel West was acquired by the UKAEA after a meeting on 8 October 1956, with a grant of £15,000 from the Central Recreation Committee (successor to the CSSC). This site had a recreational building which is now the core unit of the present club. 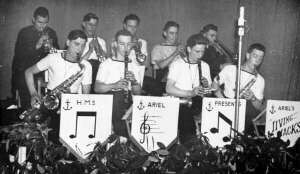 During, and for a short time after the war, HMS Ariel West was a naval camp, and the present Main Hall of the club was a gymnasium as well as being used for social functions and dances.